Babies, I don’t know if you’ve ever heard me bleat about how very tired I was over some recent films’ repetitious, and in some instances wildly egregious need, to picture the Island of Manhattan in varying states of distress (- Feel free to click on I Am Legend and Cloverfield for a gripe refresher). 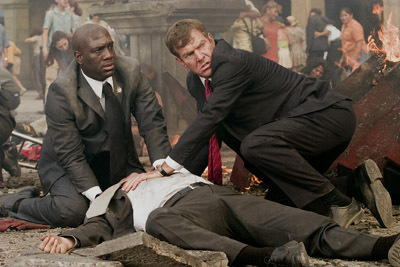 As I was amazed to discover this week in the film Vantage Point, Hollywood may have finally realised there other places in the world that can fall pray to terror and destruction; in this case the arms of catastrophe firmly wrap themselves around the picturesque, cobblestoned plazas of sunny Spain. This high-tech, age of terror update of Rashomon (- with emphatic nods to Kagemusha and The French Connection) employs Akira Kurosawa’s landmark premise of showing one story from the different points of views of its characters. In Kurosawa’s masterpiece, we saw four different sides to the story, because more is mo’ better in this day and age, director Pete Travis doubles the ante and gives us a whopping eight different perspectives of the same incident. The President of the United States has come to Spain to attend a summit on global terror. 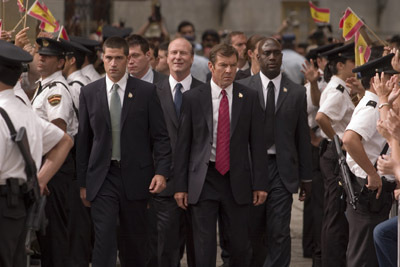 The unimaginable occurs and the President – hereafter in this review, as in the film, referred to as the POTUS – is shot in full view of his own Secret Service detail and the gathered Spanish crowds. And because this was not enough of a surprise, the very plaza where all this has occurred is then blown up by a terrorist’s bomb. Exciting stuff, no? Well, it should have been, and sometimes it is. 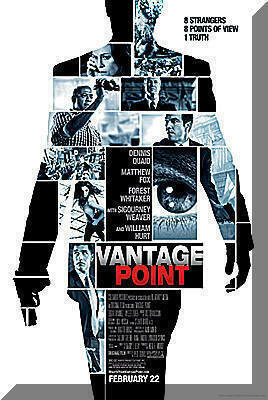 Vantage Point has a lot going for it; mostly the fantastic international ensemble cast and some really gripping action sequences. However, it is the whole gimmick of showing us eight different takes of the same period of time on the same day that just wears you out. 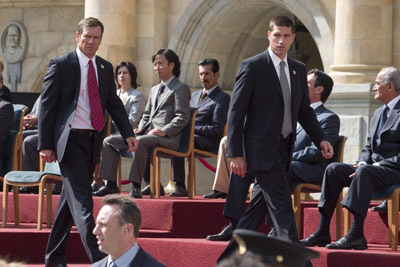 While you remain interested because you can see a different piece of the puzzle of who shot the POTUS with each POV, after about the fourth retelling, it stops being novel and heads dangerously into repetitious tedium. Vantage Point suffers from uneven dragginess, both early on and in the second act. 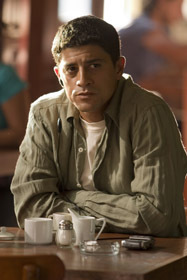 The different stories are not equally interesting; as much as I enjoy the actor who plays him, I couldn’t care less about the American tourist who happens to digicam the terrorists, or his dysfunctional home life. Good thing Travis throws the kitchen sink at the audience by the last third of the movie. 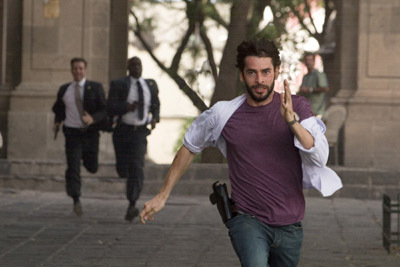 Some hand to hand combat, high-tech espionage via Iphone, and one heck of a car chase. It’s this good stuff that picks up the slack of the tedium you’re bound to feel going over and over the same territory. 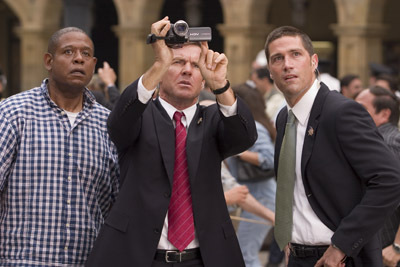 The unevenness is disappointing because of the clever ideas like the terrorists’ use of remotes to put the small number of them in many different places, as well as the fast-paced action give Vantage Point moments of tension and excitement. Still, it’s enjoyable enough to forgive the occasionally tiresome pacing, serious continuity issues and slightly holey plot devices. 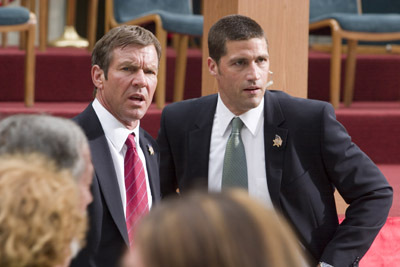 This brings us to the cast, led by Dennis Quaid as the haggard Secret Service Agent Barnes, who’s been down this road of assassination before. He threw himself in front of a bullet for the POTUS some years back and of course, the summit is his first day back on the job since. 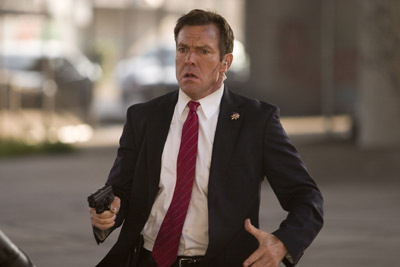 Quaid captures the haunted anxiety of Barnes perfectly, and even though some of his action scenes could not possibly have taken place in reality without his character actually revealing himself to be a Terminator, it gets a pass because it’s Dennis Quaid. 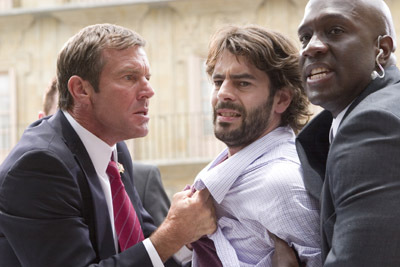 He’s like Sara Lee; nobody doesn’t like Dennis Quaid. 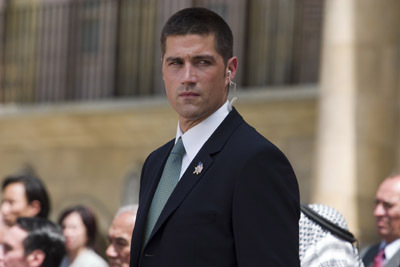 Only he could deliver what is my new buzz-phrase for 2008 – “Who’s got POTUS?” – and not have me gagging on my own trunk. 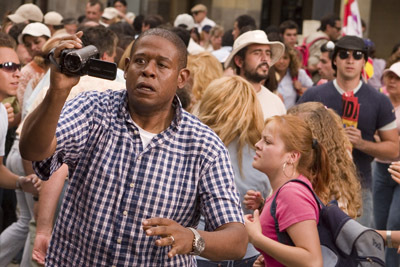 Forest Whitaker plays the above-mentioned tourist in Spain trying to escape troubles at home. Bless him, he adds interest and gravity to everything he does, but his entire story is inflated and silly and would have been better left out. 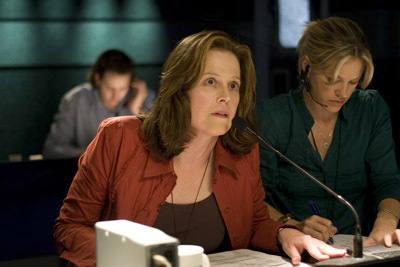 Actually, that’s the same with Sigourney Weaver character; as the news producer whose POV we see first. In Weaver’s case, she’s here and gone from the story before she’s able to have any effect. 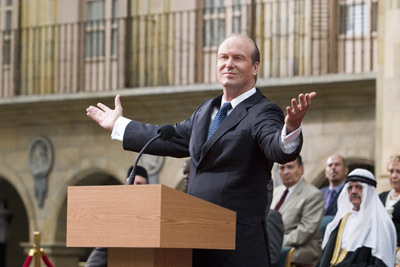 William Hurt is great as President Ashton. He has a particularly compelling scene where he resists the baying of war hawks to produce a violent, knee-jerk reaction to a terrorist act. This President refrains and instead decides to think things through before causing further damage. Heck, I’d vote for Hurt. One standout of the international cast is Edgar Ramirez, who plays a former Spanish soldier forced to use his skills to aid the terrorists. 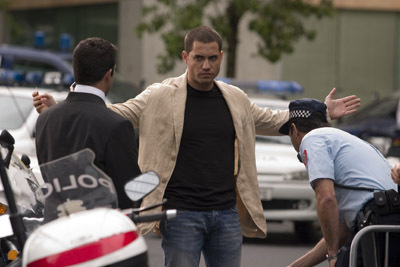 The Venezuelan-born actor is all moody-eyed intensity and pent-up rage at his situation, yet he conveys both his reluctance and resignation with almost no words. 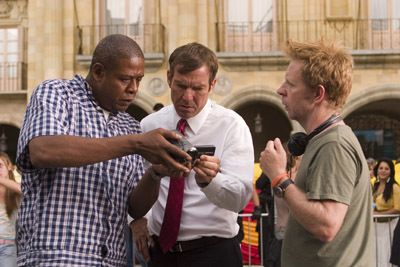 The other cast member that hasn’t got a SAG membership is México City, in the role of Salamanca, Spain. 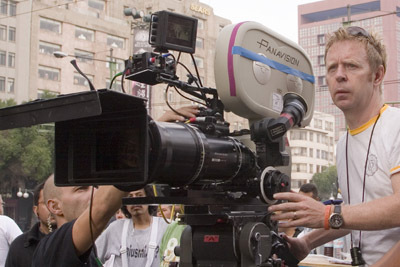 In my interview with the director, Peter Travis explained that logistically he wasn’t able to film the beautiful city and its town square for the duration that was needed, so he found comparable wonders down México way. Building sets to duplicate Plaza Mayor, where much of the initial action takes place; Travis captures the sultry, languid, loveliness of what everyone imagines Spain to be and makes great effect of the shock of terrorism in a land so placid and beautiful. Vantage Point is certainly troubled. I can’t even start on the patently ridiculous motivation of the film’s climax – I’m sure Spanish parents do actually teach their children how not to run into oncoming highway traffic. Or the fact my eye was pulled from the otherwise first-class car chase because I kept seeing extras running at top speed from the explosion site when the vehicles we’re following would have literally been miles away. Those are some long-distance running Spaniards. However, that sequence, and Travis’ decision to place the cameras inside the speeding, crashing vehicles does make for some real up-close excitement. The pyrotechnics are wonderful and the action choreography is first rate, but it’s Vantage Point’s cast that raises the material out of the muck that the messy eight-person POV contrivance mires the film in. Best of all is that by the film’s end, New York is still standing. For that reason alone, I recommend.